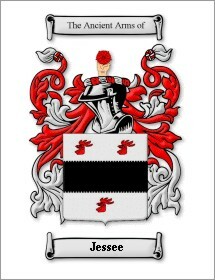 This service is dedicated to furthering genealogy research and information sharing regarding the JESSEE surname, including JESSE, JESSIE, JESSEY, JESSY variations, their ancestors, descendants, and related families. Their origins are believed to be in pre-Revolutionary War Virginia from England and they largely lived in North Carolina, Southwest Virginia, Kentucky, and Tennessee from 1775-1825. Many descendants migrated virtually all over the South, Midwest, and West, and later the Northwest and Canada. Related families included in this database are: Armstrong, Smyth/ Smith, Porter, Duncan, Bickley, Richmond/Richman, Bartee and Barrick families; and many other Southwest Virginia Families who have intermarried with the Jessees, including: the Banner, Browning, Burk(e), Counts, Fuller, Gose, Kiser, Stone, and Vermillion families, to name a few of the surnames to be found in the Jessee Family Database. The main means of sharing and seeking genealogy help is by joining the RootsWeb Jessee List of like minded Jessee genealogy researchers and related family members. To subscribe: Click on the shortcut links and use these email subject and body text (without quotes) instructions: to join JESSEE-List: Send email to Jessee-subscribe@rootsweb.com with the single word "subscribe" in the both the message subject and body. To unsubscribe: send email to Jessee-unsubscribe@rootsweb.com with the single word "unsubscribe" in the message subject and body. Click here to search the Jessee Genealogy Service-Family Database and use it for free on RootsWeb. You can search for individuals by surname and given name, view and print pedigree and descendants charts, and download GEDCOM files. To find surnames and individuals of interest to you, please use the Jessee search index below the top banner, and not the RootsWeb/Ancestral Quest search box at the very top. The RootsWeb Database was last updated in December 2013, and I have not had access since to update it, nor has RootsWeb been a reliable service for some time. When and if I can, I will update this free service. This Database has the pedigree and descendants for James Wilson "Jim" Jessee, his wife Nelda Faye (Meline) Jessee, and their children, Earl Wilson Jessee and Emma Elizabeth Jessee. It includes the Meline, Ware, Tuck, and Camper surnames, who were early California pioneering families, and the Peterson/Petersen, Lunde, Skogstad, and Hermundstad surnames, whose family origins are largely from North Dakota and Canada prior to 1950, and Norway and Sweden prior to 1900. The Database also contains information regarding Jim and his sister Julie Ann Jessee, their mother, Frances Sylvia "Brownie" (Brownfield) Jessee, her Jewish ancestors, and the survivors and descendants of her Brownfield (Bronfeld/Braunfeld), Shlomkowitz (Szlamkowicz), Ajzenbaum, Szklarczyk, and Herszlikowicz families of Russia, Poland, and Israel, most of whom perished in the Holocaust. The public view of the database has been filtered to eliminate specific information about all living descendants— those born after 1920— and scrubbed of other individuals who have requested that they not be included in a public database. You will find the most current and up-to-date Jessee Family database on Ancestry.com, a fee for use service. Find this database under Ancestry User" "JamesWilsonJessee" (no spaces) and as Ancestry Tree "Jessee-Meline Master IMAC FTM." You may email me with a request to invite you to view this tree and I will share pedigree and descendants GEDCOM files with you as appropriate. I use Family Tree Maker (FTM) and have joined Ancestry.com. FTM has a real-time interface with Ancestry and allows one to update information on FTM or Ancestry, and it synchronizes the trees on both, providing an Ancestry back-up as well as public access to Ancestry users. FTM also interfaces in real-time with the Mormon Church Family Search Database, automatically providing "hints" or possible new information links to that extensive database. I very much believe we are all kings, queens, princes and princesses, knights, lords and ladies. And from the costuming and play, not to mention commercial kid land, my grandchildren certainly believe this so. The Jessee Family Newsletter was edited and published by Jim Jessee for 20 years from 1992 to 2012. It was done as the “printed” publication of The Jessee Genealogy Service and had lots of help from cousins. It required an annual subscription although I provided it free to libraries, genealogy and historical societies and those who requested it. It was arduous to prepare and expensive to print (24-32 pages, some in color), and never broke even. And frankly its function was replaced by the Internet and social media. In its place, my son, and Webmaster, Earl, helped establish this Jessee Genealogy Service website. Please visit News, Obits, and other menu items on this website that were previously featured in the newsletters. Back issues are available free, by clicking the button, above! Use the form below to contact us regarding your research enquiry. Please be as detailed as possible. Include your name and family surnames in questions, along with any specific document requests.